Reflecting on the form of the J J Atkins Stakes is encouraging for Brisbane trainer Steve O’Dea who will saddle Sesar in the Roman Consul Stakes at Randwick. 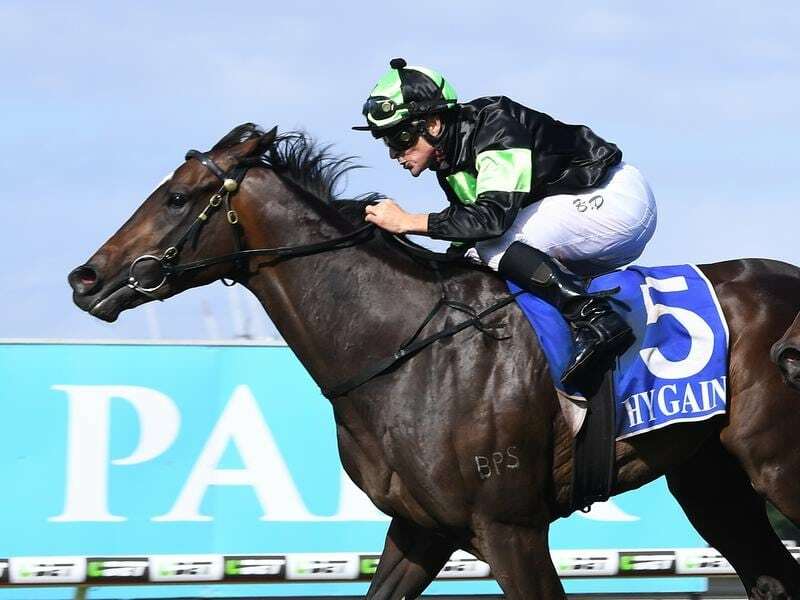 The colt finished fourth in the Group One Atkins (1600m) at Doomben in June with the race won by The Autumn Sun from his Chris Waller-trained stablemate Zousain. The Autumn Sun has since beaten Zousain again at Group One level in last month’s Golden Rose and is the dominant favourite for the Caulfield Guineas. Sesar hasn’t raced since the Atkins but has pleased O’Dea ahead of Saturday’s 1200m-Group Two event for three-year-olds which will be run on a rain-affected track with steady rain in Sydney. “It wouldn’t be ideal for him first-up on a really heavy track so hopefully it is just soft,” O’Dea said. “The idea is to run him on Saturday and then go to Melbourne. O’Dea deliberately held Sesar back until now to let him mature. “He was very immature and needed more time so I held him back for the late spring,” he said. To be ridden by Jason Collett, Sesar is a $10 chance in the Roman Consul with Sandbar heading the TAB market at $4.40. Sesar, who is raced by Jamie Walter’s Proven Thoroughbreds, arrived in Sydney on Wednesday with his elder sibling, the Aquis Farm-owned Doubt Defying who will run in a benchmark race on the program. Doubt Defying is by Not A Single Doubt with the half-brothers out of 2008 Black Opal Stakes winner Sarthemare.